This delicate, classy dress has a flirty fitted cut with modest touches, such as the longer length and three quarter sleeves. The Paisley Lace Three Quarter Sleeve Dress is fully lined except at the sleeves, which are semi-sheer. It has a rounded neckline and classic sheath cut. Three quarter sleeves and the longer hemline make for a demure style that will leave them guessing. 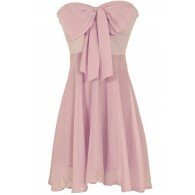 A tie detail at the back of the neck completes this dress. 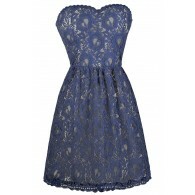 The Paisley Lace Three Quarter Sleeve Dress would look great paired with pumps or heels and a clutch. Also available in Purple. Details: Made in USA. Fully lined except at the sleeves. 96% polyester, 4% spandex. Machine wash in cold water. Tumble dry low or dry clean. Small measurements: Length from top of shoulder to hemline: 36”. Bust: 32”. 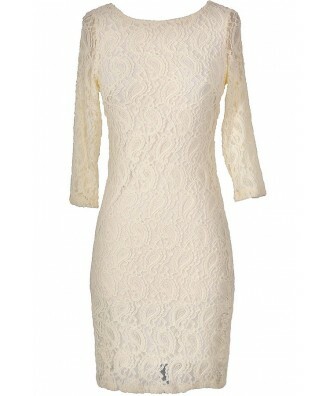 You have added Paisley Lace Three Quarter Sleeve Dress in Cream into Wishlist. You have added Paisley Lace Three Quarter Sleeve Dress in Cream for Stock Notification. 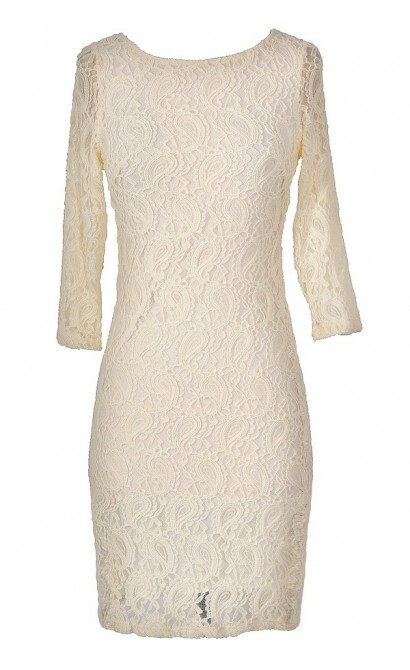 You have set Paisley Lace Three Quarter Sleeve Dress in Cream as a loved product. 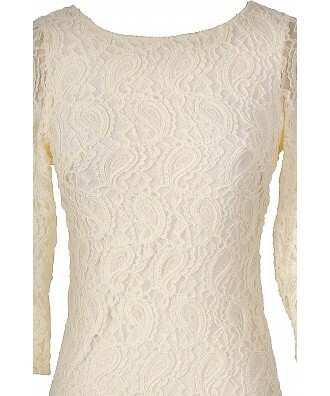 You have removed Paisley Lace Three Quarter Sleeve Dress in Cream as a loved product.